Address: 456910 Chelyabinskaya obl., Satka, Sovietskaya st., 15. 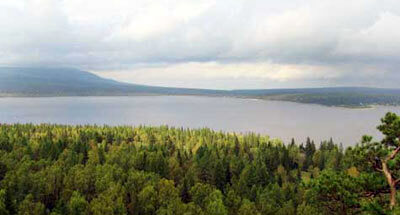 National Park Zyuratkul, in Satkinsky District of Chelyabinsk Region was established in 1993. Its area is 87,4 thousand ha. 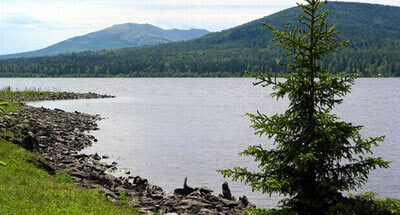 It includes the high-mountain lake Zyuratkul (area 1350 ha) on the Southern Urals, surrounded by mountain ranges. It is the highest part of Southern Urals (mountain Bolshoy Nurgush rises 1406 m above the sea level). The woodland accounts for over 80% of the area. 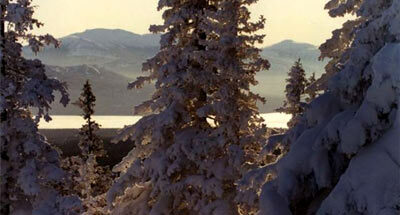 The southern-taiga mountain forests of pine and spruce with an insignificant proportion of fir and larch prevail. At an altitude of 850-1000 m above the sea level birch-spruce open woods with alpine glades are common. Mountain tops are occupied by mountain tundras and alpine meadows. About 600 vascular plant species are recorded, many of them being Southern Urals high-mountain endemics. There are 46 mammal species, and 160 avian. Widespread taiga species predominate, including: the brown bear, lynx, capercaillie , black grouse, hazel grouse. Of rare birds, the golden eagle is recorded. On the shore of Lake Zyuratkul, historical and archeological sites are found — relict villages of the ancient man, dated 13th-12th and 7th-3rd ages BC (Dolgy Elonik Cape, Kamenny Cape). On the slopes of the B. Moskal Range ancient sacral stones are found.